Yankee prospects Eric Hacker, Andrew Brackman, George Kontos and Jorge De La Rosa combined to give up five runs, allowing the Twins to comeback in a game that they were down 3-0. Brett Gardner added a walk and another steal to his perfect day at the plate before being replaced by highly-touted prospect, Austin Jackson. He went one for two and scored a run for the day. 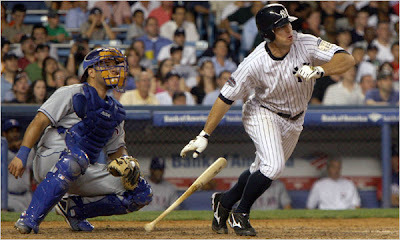 Jorge Posada DH'ed again and continued his hot hitting, slapping two base hits. This was the Yankees' first loss of spring training and they are now 2-1 overall. The Yanks beat the Rays today 5-1. 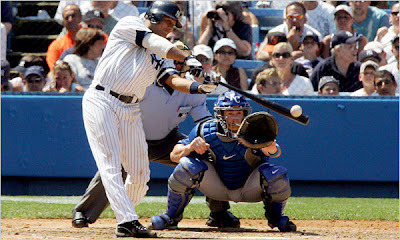 Jorge Posada's solo homer and RBI double and a Shelley Duncan's three-run bomb supplied all the offense for the Yankees. J.B. Cox was the only negative for the Yanks as he gave up three hits and the lone run in the seventh inning. The Phil's (Hughes and Coke) both put up zeroes in two-inning performances. The victory today plus yesterday's 6-1 victory are good signs for the Yanks, but it is still just spring training. Ian Kennedy will start for the Yankees tomorrow against the Twins at 1:05 p.m.
Yankees on YES, 1:15 p.m.
Who's ready to see the Yankees back in action? I am. And this is the first chance I'll get to see my beloved Yankees since last year. 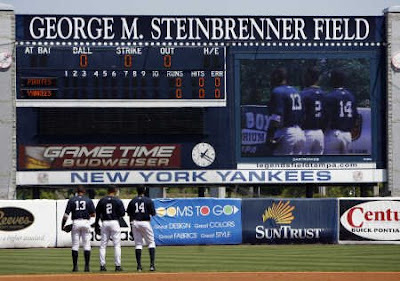 For future reference, the YES network will only air home spring training games. Upcoming ones are, today (Rays), Saturday (Twins) and Tuesday (USA). Here are the lineups for todays game (courtesy of Fletch). Yankees scheudled pitching setup is at the bottom. Unfortunately, I'm missing the beginning of the game for a meeting, but I will be back for most of the rest of the game. I had an epiphany when I woke up this morning. Although Alex Rodriguez's two-run homer against the Blue Jays yesterday was just in a spring training game, I think the homer proves to us his focus and confidence is with the team. Reggie Jackson, current Yankees special advisor, talked with Bryan Hoch about the home run after the game yesterday. "We all know he can play baseball," Jackson said. "If this does one thing, maybe what we saw today is that he's got an ability to concentrate. Jackson is absolutely right here. Who would have thunk, after all the PED controversey and spotlight on A-Rod, that he could jump right out of the gates and smash a homer in the first game he's played in months. If A-Rod can keep focused on winning and avoid getting involved negatively with the media, then Yankee fans can and should expect a big season from him. Coming from a guy who hates A-Rod's guts, that's saying a lot. The day after leaving camp with the flu, C.C. 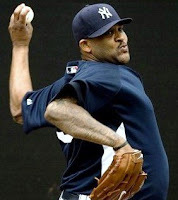 Sabathia returned in a big way, impressing many fans as he pitched batting practice. Derek Jeter caught the injury bug from C.C., with a sore hamstring. From personal experience, I can tell you that hamstring injuries develop slowly and can turn into major distractions. Drinking water and stretching help treat hamstring issues. 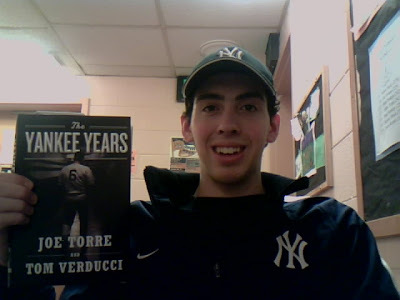 I just got Joe Torre's book this past weekend, unfortunately I haven't had a lot of time to get very far in it. This will be one of many excerpts chosen by me that I will display for your viewing pleasure. You will also get my take on it, of course. My first quote is about the 1996 season. Torre is talking about what George Steinbrenner's mentality was like on an everyday basis. This book shares a lot of inside information like this that really fascinates me. I love hearing about the specifics of what really went on in the clubhouse. Just before this quote, the book enlightened me of how good the Yankees bullpen was in '96. "They were 70-3 when they led after six innings." 70-3..........? That's absurd. Mariano Rivera six, John Wetteland three - every time. A-Rod's at it again. His second attempt of 2009 to try and get people to like him was just as unsuccessful as the first. This time, he came prepared, with an opening statement. He told us that he took Ripped Fuel (from GNC) when he played for the Mariners. Then he admitted to taking "Boli," which most likely is primobolan. 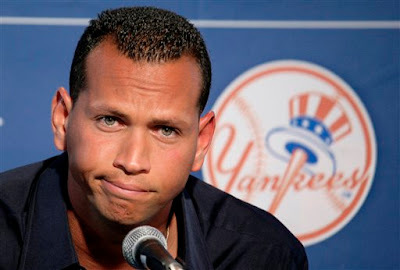 Peter Gammons asked A-Rod directly if he had taken it, and he said he did not know. When asked if he could give us any assuraces that he is telling us everything right now, he responded with, "I may have to answer them (questions) for the rest of my career." This is another implication that he has not told us everything. Roy Oswalt and Jamie Moyer have both said on record recently that he is not a credible person and nobody should vote him to the hall of fame. 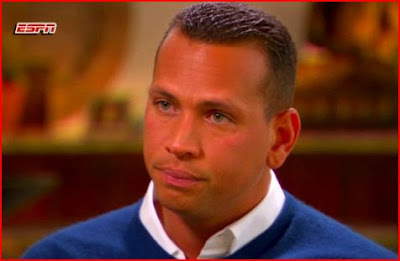 A-Rod responded to questions about both of their comments with, "I'm sorry he feels that way." From that, I can tell that he believes he is a hall of famer. He made sure to note that in his mind, his best two seasons ('96, '07) came outside the '01-'03 span. Well A-Rod, now I know you are trying to bail yourself out. Anyone who glances over his career numbers can point out that 2002 was either his best or second best year. In one of the later questions, he said that he is just here to say that he is sorry. He also wishes that he had gone to college. Let me get this straight, he's saying he would not have taken PEDs if he had gone to college. As a college student, I can tell A-Rod that you don't learn those types of things in college. This is a moral issue; some people are cheaters and some people aren't. Yankees beat writer Bryan Hoch reports that Chien-Ming Wang is feeling good and was hitting the mitt from the bullpen mound. Good sign for him. Last year's season ended when he injured his foot rounding the bases in a blowout win against the Astros on June 15, 2008. The key this year, as always, is staying healthy. But you can never avoid freak accidents like Wang's last year. Remember when Hideki Matsui was riding that consecutive games streak and then he nearly snapped his wrist off diving for a fly ball? You can't prevent against that. Bobby Abreu has reached an agreement with our AL West rival, the Angels, on a one-year, $5 million deal. The deal is not official until Abreu passes his physical and he finishes working out the incentives of the deal with the Angels. Abreu will be taking an $11 million pay cut from his last years' salary with the Yankees at $16 million. The Yanks acquired Abreu at the 2006 trade deadline for C.J. Henry, Matt Smith, Jesus Sanchez, and Carlos Monasterios. 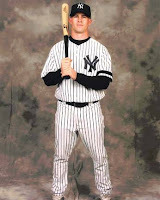 Over his two and a half seasons with the Yankees, he batted .295, hit 43 homers, drove in 243 runs, and stole 57 bases. We will be rooting against him now that he is playing for the hated Angels. 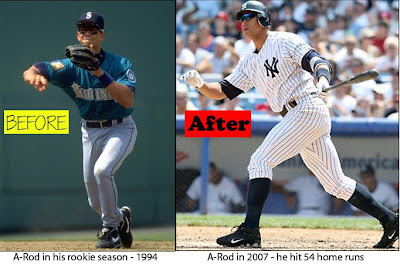 Unless you've been living under a rock for the past 24 hours, you've heard that A-Rod tested positive for two anabolic steroids in 2003; his MVP season with the Rangers. You can look at this from two angles. The whole career perspective: does this immediately eliminate his chances at the Hall of Fame? 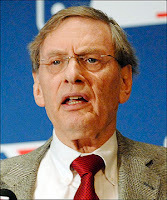 (see my poll) And the more current angle: will this be a distraction for A-Rod all of the '09 season? What these tests do not tell you is how long the player used the steroids. This can make all the difference in the world. If A-Rod was like Andy Pettitte and only took steroids for a couple of weeks, I would let him off the hook just like I have with Pettitte. Check out my friend's Yankees blog for a good point about A-Rod. From ESPN's Rob Neyer's Blog, people are trying to make the argument to move Derek Jeter to center field, bring in Orlando Cabrera for shortstop, which would lead to Brett Gardner being sent back down to the minors. Come on, was I imagining things when Gardner got a walk-off hit against Jonathan Papelbon last year? I don't think so. He is an extremely valuable stolen base threat, especially if he came off the bench and acted as a defensive specialist. I strongly believe that Gardner needs to stay in the majors and become a better hitter in the majors. The pitching is just not the same in Triple-A as it is in the majors. I see Gardner splitting time with Melky Cabrera pretty evenly during the season. Joe Torre's book "The Yankee Years" is now on sale. It's hard to get around as a college freshman like myself, but I am looking to read this book one way or another as soon as I can. The Yanks avoided arbitration with Brian Bruney, who agreed to a $1.25 million contract over the weekend. Bruney's foot injury in the beginning of last year knocked him out until August and September. He proved he can still be a dependable arm out of the pen; going 3-0 with a 1.83 era and 33 strikeouts in 34 1/3 innings. The Yanks pitching staff gets better and better every week. You gotta love it.